We’d love your help. 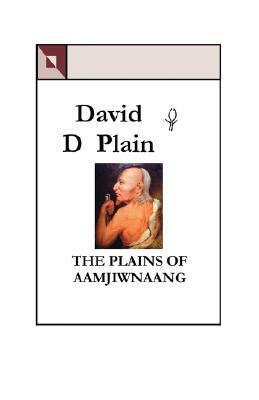 Let us know what’s wrong with this preview of The Plains of Aamjiwnaang by David D. Plain. To ask other readers questions about The Plains of Aamjiwnaang, please sign up. place of which many of both its current inhabitants are unaware. reviving the memory of his ancestors. "It was said that if one looked closely and carefully enough one could catch glimpses of the mahnedoog or spirits just beneath the surface." Stretching from the late 17th century to the present, this title follows the Aamjiwnaang First Nation's tumultuous history as it clashes with other native groups, then eventually the French, British, American, and Canadian societies. Combining the oral history and traditions the author inherited from his lineage with a wealth of study on the subject, readers will get a unique glimpse at a less-told perspective of the formative years of modern North American history. Most of the detail relates to the military side of Aamjiwnaang history, and includes the activities of well-known figures like George Washington, Daniel Boone, Tecumseh, and Oliver Perry. As war gave way to the cessation of land, readers will hear the tale of the Aamjiwnaang's relocation fully into Canada and the challenges that come with harboring other Nations and dealing with the assimilating tactics of another government body.